Crocodile Dundee One (1): Paul Hogan's hilarious, endearing performance made "Crocodile" Dundee the biggest box-office comedy smash of 1986! Michael J. "Crocodile" Dundee (Hogan) is a free-spirited Australian who hunts crocodiles with his bare hands, stares down giant water buffaloes, and drinks mere mortals under the table. But he's about to face the ultimate torture test - a trip to New York City. Beautiful and tenacious reporter Sue Charlton (Linda Kozlowski) gets more than just a story as the "wonder from Down Under" rocks the Big Apple to its core. Crocodile Dundee II (2): Paul Hogan is definitely the funniest character who ever took a bite out of the Big Apple in Crocodile Dundee II. Just as the eccentric Australian is starting to adjust to life in New York City, Dundee and his beautiful girlfriend (Linda Kozlowski) are targeted by a gang of ruthless drug dealers. 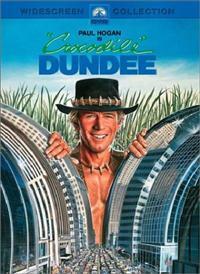 Dundee evens the odds by leading the big-city hoods into the treacherous Australian outback. 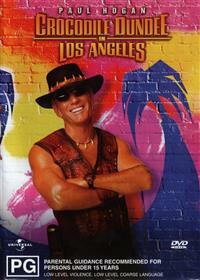 And before long, the bad guys find out that Down Under could mean six feet down under!. Crocodile Dundee in Los Angeles (3): From the opening shot of a Jurassic Park-esque reptilian eye, you know you're in for a wild ride. As Mick "Crocodile" Dundee (Paul Hogan) sits in a canoe sharpening his famous knife, a monstrous croc hides somewhere in the deep. Suddenly, it attacks, tearing Mick's boat to pieces and leaving him and mate Jacko (Alec Wilson) up a tree. Life for Mick can only get easier, right? When Mick arrives at home, he discovers longtime companion Sue's (Linda Kozlowski) newspaper-mogul father has called, and needs her help on an article at the paper's Los Angeles branch. Mick, who recognizes his importance in the modernizing bush is now no more than as a tourist attraction, agrees to join her, and together Mick, Sue, and son Mikey (Serge Cockburn) head for the wild country of L.A. Here the adventure truly begins, as Mick and Jacko brave a cowboy bar where the horsemen are of a different color, and a Hollywood film party where everyone seems interested in Mick's mate Malcolm "Mal" Gibson's colorful exploits. 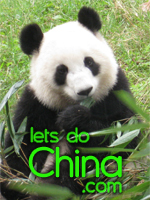 Soon, Sue's article leads to a sleazy film producer, so Mick gets a job as a monkey wrangler at his studio, where his investigation uncovers some very sketchy goings-on. 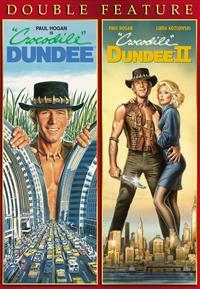 Offer 1: ALL 3 Crocodile Dundee Movies on DVD for just $46.99 That 20% off !